“International Asteroid Day” is observed every year On June 30 . On 30 th June 1908 there was an asteroid hit over Serbia ,Russia. This asteroid impact is considered as the largest impact on earth in recorded history. The impact was occurred in a scarcely populated area near stony Tunguska River in Serbia ,Russia. This impact flatted over (770 square miles) 2000 square kilometers. Luckily, it caused no human causality, because it is a forest area. This is known as “Tunguska Event”. The UN has decided to held the international Asteroid day in Tunguska Event day. 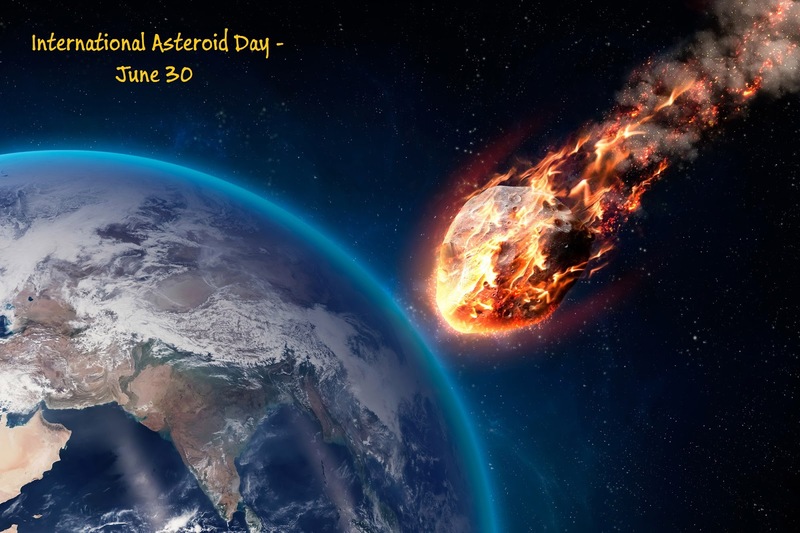 Every year June 30 th will be observed as International Asteroid day to raise the awareness about the asteroid impact hazard. June 30 th on every year. Over 70 countries will participate on every year on asteroid day event. They usually conduct open vehicle awareness program about the asteroid . Conduct seminars about the asteroid. To use the available technology to detect and track the near earth asteroids. To boost up the identification of new near earth astroids to about 100 fod. That is 100,000 every year. Increase awareness about the asteroid hazards and boost up the efforts to prevent impacts.